Recycling Your Leaves Is EASY! 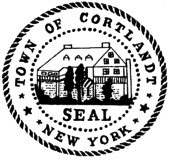 The experts from the Love 'Em and Leave 'Em program are coming to Cortlandt! Learn from the experts, homeowners and landscapers about this common-sense practice that saves money, saves effort, keeps your property healthy and helps the planet! Imagine: Wouldn’t it be nice to enjoy a fall season with less raking and noisy leaf-blowing in your neighborhood and fewer leaf piles clogging the streets? Wouldn’t it be satisfying to know you were nourishing your property with valuable leaf nutrients instead of treating them like garbage to be hauled away? Please share this invitation with your neighbors (pdf file). Or use this link to the Eventbrite invitation to RSVP online for this event: http://www.eventbrite.com/event/5290859102.